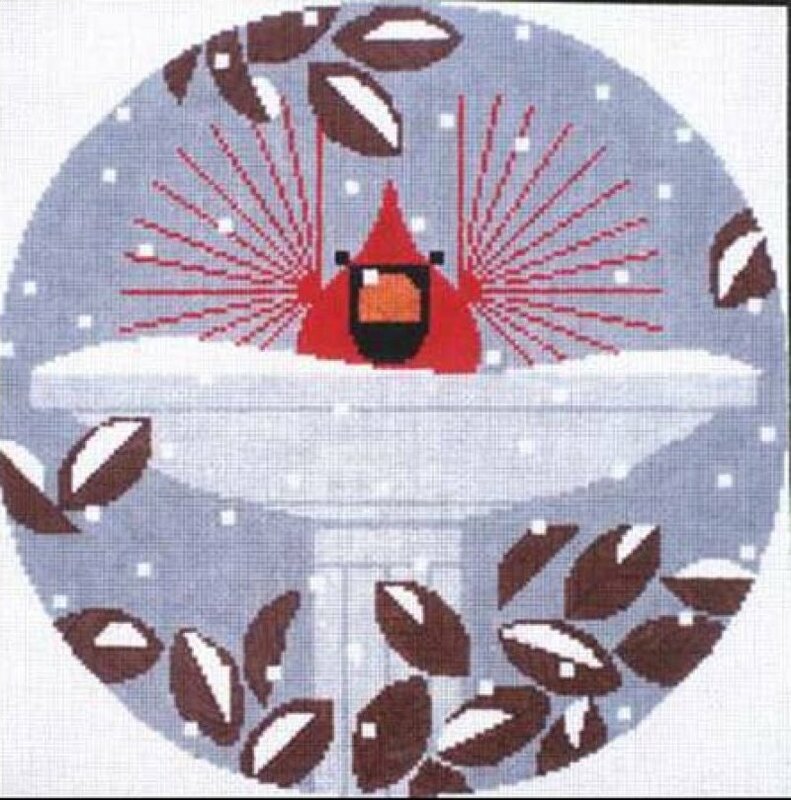 The snow and cardinal Brrrd Bath needlepoint design is hand painted onto 13 mesh Mono Zweigart needlepoint canvas and can be stitched as a square or round design. The needlepoint design area measures 13" x 13". This Charley Harper needlepoint is sold canvas-only or as a kit. We use Planet Earth luxury fibers for orders requesting wool or silk threads and DMC embroidery floss if cotton is selected. We supply enough threads for a round design so if you want to stitch it square you will need to contact us to supply extra wool (there will be an additional charge). For shipping costs and information click here. This Charley Harper Brrd Bath needlepoint canvas is usually in stock and ships within a few days. However, due to the popularity of Charley Harper canvases it is subject to back order so if you're in a hurry let us know.